The Sixth Step of Alcoholics Anonymous is, "Were entirely ready to have God remove all these defects of character". The original draft of the Big Book used the word "willing" instead of the words "entirely ready". I found it helpful to incorporate both into my Sixth Step, so that I had the willingness to be entirely ready. As an alcoholic, giving up control is awkward and strenuous - I would rather apply some sort of cognitive therapy or behavioral modification to control my defects. But practicing that method is like applying a band-aid to a festering infection, it does nothing. Control of defects is not the snag, but rather that our human defects are not to exist in our behavior, as it is our defects that are keeping us from the perfection that God seeks in us. God seeks for us to be the human being that He created us to be, thereby able to maximize our human potential. When we are in the will of God our human character defects, which exist only in our human nature, cannot possibly manifest themselves in our behavior. For me, CONSCIOUS CONTACT is a personal relationship with God in this moment and at this time. I do not look back in regret nor do I look forward in fear. Through the grace of God in this moment I have relinquished my human nature. My human instincts are no longer propelling my thought process, but rather my thought process is propelled by the will of God through inspiration. The "Big Book" of Alcoholics Anonymous says, "We may face indecision, we might not be able to determine which course to take. Here we ask God for inspiration, an intuitive thought or decision. We are often surprised how the right answers will come after we have tried this for awhile. What used to be the hunch or the occasional inspiration gradually becomes a working part of the mind. We find our thinking will be, as time passes, more and more on the plane of inspiration. We come to rely upon it." The dictionary defines inspiration as, "the thoughts of God implanted upon the mind and soul of man." I do not need to run the thoughts of God through my intellect - I instantaneously perceive them as truth. The question becomes, will I be obedient? Is my behavior going to be propelled by the will of God or by my human instincts? 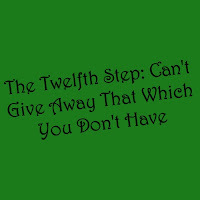 The back half of the Eleventh Step says, "...praying only for the knowledge of God's will for us and the power to carry that out", as my human nature will never do the will of God. It is here that a recovered alcoholic lives, in the will of God, through CONSCIOUS CONTACT. In the Third Step we made a decision to turn our will and our lives over to the care of God. The Fourth Step is the next step in the process, the purpose of which is to find out what it is about me that is keeping the grace of God from my life. It is through the grace of God that the healing occurs. Many spiritual traditions include a deep and thorough look at the past to discover the truth of what is uncovered. Alcoholics Anonymous is no different. As we work through the Fourth Step we may get the sense that the completed program of Alcoholics Anonymous will allow us, possibly for the first time, to be living our lives as God originally intended us to - free of the manifestation in our behavior of resentment, fear and anxiety. We will then become the human beings God created us to be and we will maximize our human potential, as the manifestation of our human nature is perfected in the will of God. Thereafter having admitted that I was alcoholic I soon found out that alcohol in and of itself was not my problem, but was the manifestation of my problem. The true problem was self-centered fear - afraid that I was not going to get what I want and afraid that I was going to lose what I had. In the Big Book of Alcoholics Anonymous it says, "When dealing with the fear problem, or any other problem, perhaps there is a better way as we are now on a different basis, the basis of trusting and relying upon God. We trust infinite God rather than finite self. We are in the world to play the role God assigns. Just to the extent we do as we think God would have us do and humbly rely on God, does God enable us to match calamity with serenity. We never apologize to anyone for depending on our creator. We can laugh at those who think spirituality is the way of weakness. The verdict of the ages is that faith means courage. All possessors of faith have courage. They trust their God. We let God demonstrate through us what God can do. We ask God to remove our fear and direct our attention to what we should be doing. 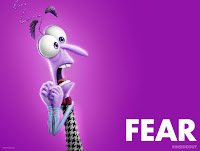 At once, we commence to outgrow fear." The integration of the Twelve Steps of Alcoholics Anonymous into our lives leads to a personal relationship with God. Prior to that occurring, fear haunted all of our being, was in all of our moments, driving all of our decisions in an attempt to satiate our instincts. We were afraid that we were not going to get what we wanted and afraid that we were going to lose what we had. Today, in this moment, that can change. That will change for all of us if we are in alignment with God's will for us. We will then know a peace we have never before experienced. 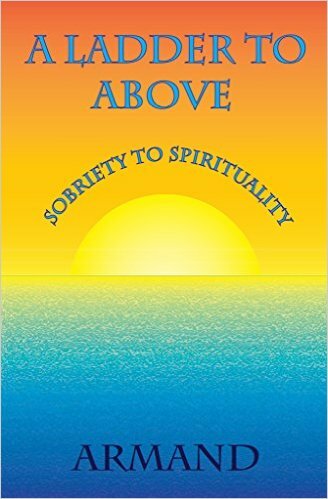 The 12th Step of Alcoholics Anonymous is, "Having had a spiritual awakening as a result of these Steps, we tried to carry this message to alcoholics, and to practice these principles in all our affairs." This step clearly places a responsibility upon us, as sponsors - but we cannot give away that which we don't have. The "Big Book" of Alcoholics Anonymous states, "We have recovered and been given the power to help others." The power to help others is a direct result of the spiritual awakening received in Step Twelve. Until one such spiritual awakening has occurred it is impossible for it to occur in other alcoholics that we may be helping. Furthermore, once the Spirit has been awakened within us we cannot be in the will of God without helping others. Both in and out of the rooms of Alcoholics Anonymous. We are gifted the power to carry the message to other alcoholics not only through our words but by incorporating the principles of the Alcoholics Anonymous program (the Twelve Steps) right into our lives, displaying them through our behavior. Once the spirit has been awakened in those we help then they themselves can lead a recovered life. These recovered alcoholics will then have the power to help others in the way necessary, so that still others may recover from a seemingly hopeless state of mind and body. Your gift can be a gift to others. 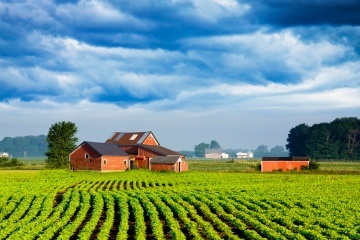 Many centuries ago there was a kingdom and in this kingdom there lived a farmer. The farmer owned a beautiful white stallion. The king of the kingdom desired the farmer's beautiful white stallion so he sent an emissary to the farmer who offered the farmer a quarter of the king's kingdom for his beautiful white stallion. The farmer said, "No, as I love my beautiful white stallion." The very next day the beautiful white stallion ran away and all of the people from the village came running out to the farmer saying, "What a bad thing that happened to you, you could have had a quarter of the king's kingdom and now your beautiful white stallion has run away." The farmer said, "I don't know if it's a good thing, I don't know if it's a bad thing, all I know is my beautiful white stallion has run away." The very next day the farmer was in his field when he looked up on the hill beyond and saw his beautiful white stallion. Behind his beautiful white stallion were four more white stallions just as beautiful as his. All the people from the village came running out to the farmer saying, "It's a good thing you didn't trade your beautiful white stallion for a quarter of the king's kingdom, as now you have FIVE beautiful white stallions. You could probably get half of the king's kingdom now!" The farmer said, "I don't know if it's a good thing, I don't know if it's a bad thing, all I know is I now have five beautiful white stallions." The very next day the farmer's son was breaking in one of the wild white stallions when he was thrown from the stallion and broke both of his legs. So now, all the people from the village came running out to the farmer saying, "What a bad thing that has happened to you. You need your son to work in the fields and now he can't as he has two broken legs." The farmer replied, "I don't know if it's a good thing, I don't know if it's a bad thing, all I know is that my son has two broken legs." The very next day the kingdom goes to war and all the able-bodied men are drafted into the army after which they will go to the front end and they will surely die. The farmer's injured son could not go as he had two broken legs. So, all the people from the village came running out to the farmer saying, "That is a good thing that your son was thrown from the wild white stallion and broke both his legs, as he would have been drafted into the army, been sent to the front end and would have surely died." The farmer replied, "I don't know if it's a good thing, I don't know if it's a bad thing, all I know is my son can't go as he has two broken legs." The moral of the story is that we are not to judge what is occurring in our life as "good" or "bad", but to have faith and trust in God, praying only for knowledge of His will for us and the power to carry that out. Once much has been accomplished and an ample portion of the program of Alcoholics Anonymous completed, the personal relationship with and the dependence upon God take on much deeper and all-encompassing meanings. In the Big Book of Alcoholics Anonymous in the chapter "How It Works" it says, "We are in the world to play the role God assigns." We, who have learned through our experience, know this can be accomplished through the practice of the Twelve Steps. Specifically it is in the Tenth Step, through daily examination, we uncover our character defects and their continuous manifestation in our behavior. Despite this action and reaction to life not being how and what we want it is still powerfully prevalent. It is here, in the conflict of not wanting to manifest our character defects in our behavior but POWERLESS over such occurrences that we are thrown back into Step One. 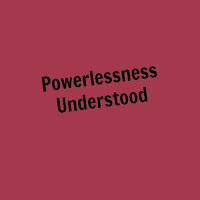 There, in the midst of Step One we can see so very clearly how we are not only powerless over our use of alcohol and drugs but powerless over every single aspect of our lives. We had previously learned at a cognitive level that our lives must be given to the care and direction of God - but now, through our personal experiences, we can perceive this with more clarity and at a much deeper and consequential level. It is in the taking of the daily inventory that we begin to fully understand the power and pervasiveness of our character defects encoded into our human nature. To overcome the manifestation of our character defects in our behavior we must subrogate our human nature and utterly abandon ourselves to the will of God. For it is in the infinite power and love of Him that we are healed. To experience A Ladder to Above beyond the blog and learn further about Armand's work with other alcoholics please visit the following sites, which will lead you to his book and audio files. Self Will or God's Will?